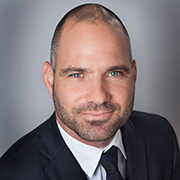 Trever J. Gallina joined Isaacs and Company in November 2016, bringing unique expertise in market analysis and retail tenant and landlord representation to the team. During his previous 15 years as a retail real estate representative, including 13 years at the Manhattan headquarters of Newmark Grubb Knight Frank Retail, he played an integral role in many high-profile national retail expansions. He specializes in New York City leasing in fashion forward and luxury product destinations. Trever has provided leasing advisory services to Goldman Sachs, Atlantic Development Group, Bazbaz Development, Boymelgreen Development, Fisher Brothers, the Friedland Company, Hines Development, Oaktree Capital, SL Green, Pace University, Tishman Speyer, Solil Management, the estate of Stanley Stahl, Tamarkin Development, Treeline Development and UBS Realty Advisors. Trever graduated from Edgewood College with a Bachelor of Arts in English literature and is a member of the Real Estate Board of New York (REBNY), the International Council of Shopping Centers (ICSC) and the Young Men’s/Women’s Real Estate Association of New York.